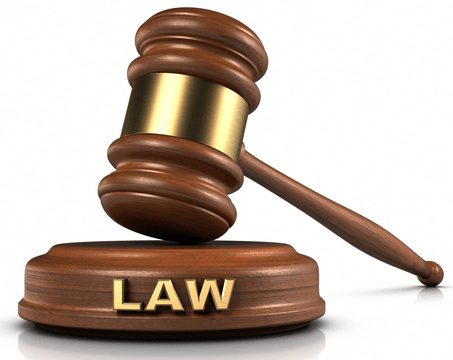 A Nigerian trader and a herbalist on Monday appeared before an Accra Circuit Court for allegedly trafficking seven girls to Ghana and compelling them to engage in prostitution. Joy John aka White Rose, or Esther is being held on eight counts of Human Trafficking and abetment of crime. With her in the dock is Obosomfo Tetteh Ozor, a farmer and a herbalist who took the girls through rituals and gave them soaps handkerchiefs and perfumes to attract men. He is facing a charge of abetment of crime. The girls were made to swear an oath that they would not mention the name of Joy as their mistress and were to pay GH¢100 for 60 days into her (Joy’s) account as proceeds from their soliciting for men and also pay GH¢700 as shrine fee failure of which they will go mad. Joy and Ozor have pleaded not guilty. The Court preside over by Mrs Rita Abrokwah Duku admitted Joy to bail in the sum of GH¢20,000 with three sureties two of whom are to Ghanaians. It further directed that one of the sureties should be within the Accra Metropolis. Joy was also ordered by the Court to be reporting to the Police every Monday till the final determination of the case. Obosomfo Ozor was also granted bail in the sum of GH¢10,000 three sureties one of whom is to be a public officer. It further directed the prosecution to serve the accused persons with all the documents they intend to rely on during trial. The matter has been adjourned to January 24. The Prosecution said the two complainants who are also victims are Nigerians who work as Secretary and Hairstylist respectively. Joy, a Nigerian also resides in Accra while Ozor resides at Kakasonanka Number one around Michel camp in Accra. Prosecution said between the month of August and October last year, Joy recruited three of the victims under the pretext of giving those jobs as sales girls and transported them from Nigeria to Ghana. The Prosecution said in the month of November, last year, Joy again recruited another four girls from Nigeria under the pretext of offering them jobs as waitresses in her restaurant and transported them to Ghana. The Prosecution said Joy transported the girls to a shrine at Kakasonanka Number one. According to the Prosecution at the shrine Joy and Obosomfo Ozor took the victims through an oath which would compel them to not to disclose to anyone that Joy was their mistress and that they were to work as prostitutes. The Prosecution said the victims were also to pay GH¢100 per day for 60 days as well pay GH¢700 as shrine fees. Additionally, prosecution said, Obosomfo Ozor gave a black soap, white handkerchief and a bottle of perfume to each of the victims to use on their body to serve as charm to attract men. The Prosecution said Joy then took the victims to Jahadom Guest House at Lapaz where she forced the victims into prostitution and she also recorded their proceeds in a blue note pad and a black diary. According to the prosecution on November 30, last year, Joy visited one of victims at the Guest House to collect her proceeds but a misunderstanding ensued between them which attracted the attention of some community members. The Prosecution said a Police patrol team was informed and Joy was arrested and detained at the Mile Seven Police and later handed over to the Anti-Trafficking Unit of the Criminal Investigations Department of the Ghana Police Service. During investigations Joy admitted the offence and sad that she had instructed the longest serving victim to receive her monies from the other victims and record the proceeds. Prosecution said Police investigations showed that monies were paid into Joy’s mobile money account as well as Ecobank account bearing the name Esther Onoyowere. On December 12, last year, Police investigations led to the arrest of Obosomfo Ozor where he admitted knowing Joy as Esther and that he gave all the victim soaps, handkerchiefs and perfumes to boost their business. Prosecution said the soaps, handkerchief and perfumes have been retrieved as exhibits and the victims have been lodged in a shelter after they have been examined medically.